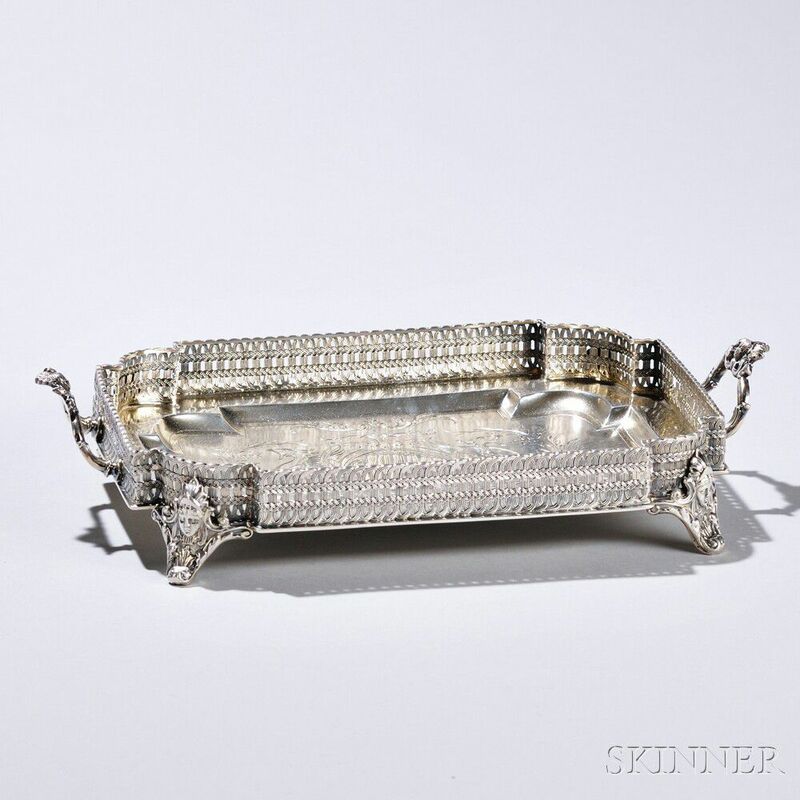 Austrian .800 Silver Tray, Vienna, 1886-1924, Vincenz Carl Dub, maker, rectangular tray with canted corners, reticulated rim, two upright handles and an interior engraved with a strapwork cartouche, on four bracket feet, lg. handle to handle 12 3/8 in., approx. 13.4 troy oz.